Founded in 1969 at the height of urban divestment in America, the National Development Council is guided by its core mission to bring capital investment to underserved areas, from urban to rural to inner-ring suburbs. Today NDC invests across all community development concerns: Homes, Jobs and Community. By delivering technical assistance, training and capital in the form of tax-exempt bonds, tax credit equity, as well as small business loans, NDC partners with communities and people that have been excluded from America’s economic mainstream. 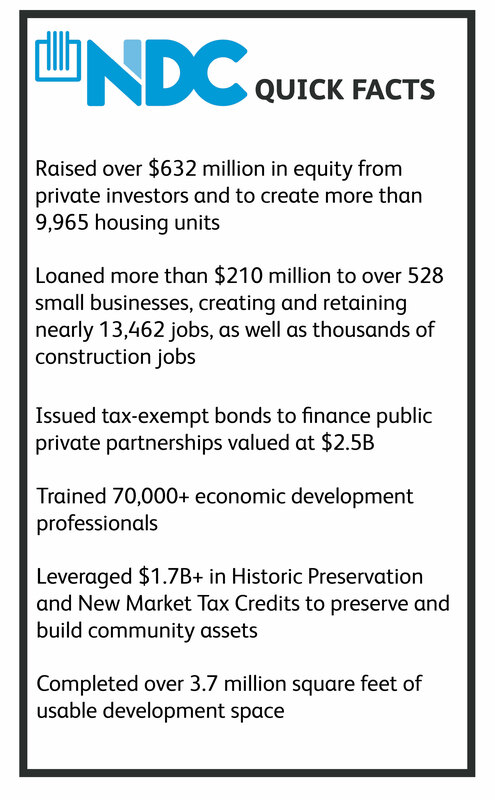 Under Mr. Marsh’s leadership, NDC developed the American Model™, a unique public private partnership structure, which utilizes tax-exempt bonds to develop social infrastructure. This powerful tool has enabled NDC to become a national leader in structuring complex financial transactions through its affiliate, the Housing and Economic Development Corporation (HEDC), which Mr. Marsh founded in 1988. HEDC secured a Group Exemption Letter from the IRS, which enables NDC to issue tax-exempt bonds in partnership with institutions such as universities and cities to develop or recycle real estate, or build and repair infrastructure. In the late 1980s NDC developed one of the country’s first P3s when it financed and constructed a new fire station in Camden, New Jersey, which allowed locally owned businesses to secure fire insurance and stay in the community. 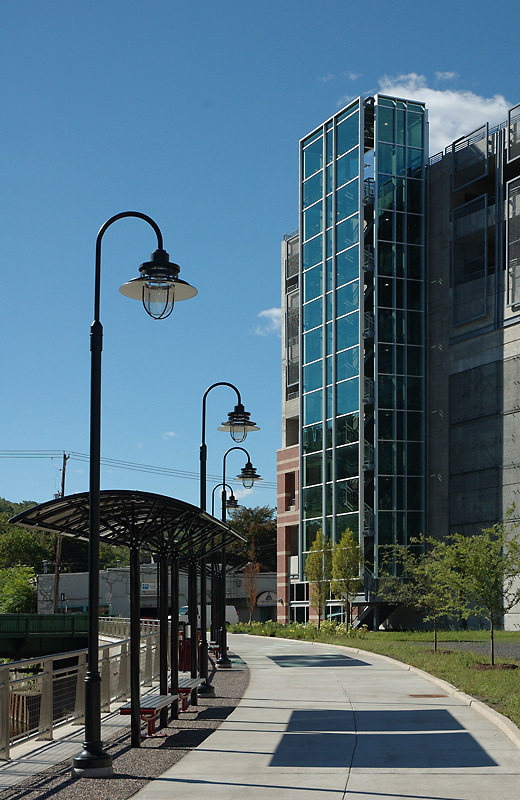 In the early 2000s, NDC partnered with the City of Ithaca to revitalize its downtown, now considered one of the most livable small cities in America. The three-phase development began with a mixed-use building that provided new office space for Cornell, a Hilton Garden Inn and a parking garage. Subsequent projects included 17,000sf of office and retail space, a movie theater and public transit hub. The most recent phase, completed in 2012, resulted in the construction of 8,000sf of commercial space, and 39 market rate apartments. In the early 2000s, NDC began its partnership with the University of Washington to revitalize the long neglected South Lake Union neighborhood of Seattle, which is now one of the most dynamic job creation centers in the United States. 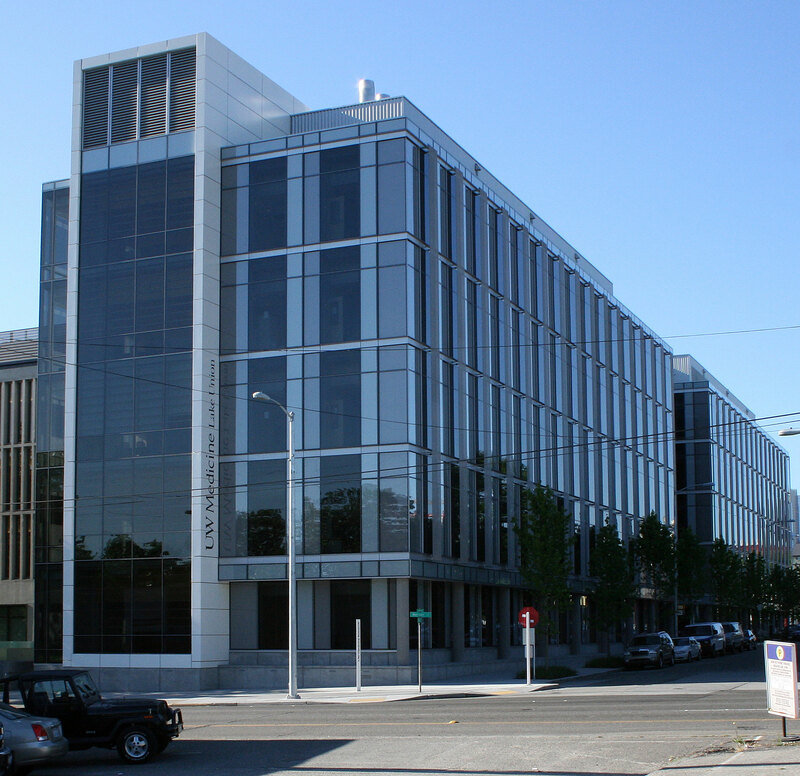 In partnership with NDC, the UW School of Medicine has developed three state-of-the-art laboratory buildings and one administrative building in South Lake Union. In 2015 NDC and the UW School of Medicine announced a fourth biomedical building financed by a $143 million bond issue, bringing the developed square footage to 708,000 and total investment to just over half a billion dollars. 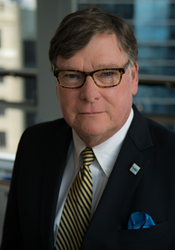 In addition to NDC’s P3 projects, Mr. Marsh established NDC’s Office of Policy and Advocacy in Washington, D.C. in 2014; he supervises the office’s advocacy and education efforts in Congress. Through its policy and training conference, known as the NDC Academy, the organization has equipped hundreds of government and private economic development professionals with the financial knowledge and development expertise to have an impact in their local communities. NDC has also worked directly with cities and nonprofits to train more than 70,000 practitioners in the art and science of economic and housing development finance by providing hands-on technical assistance. 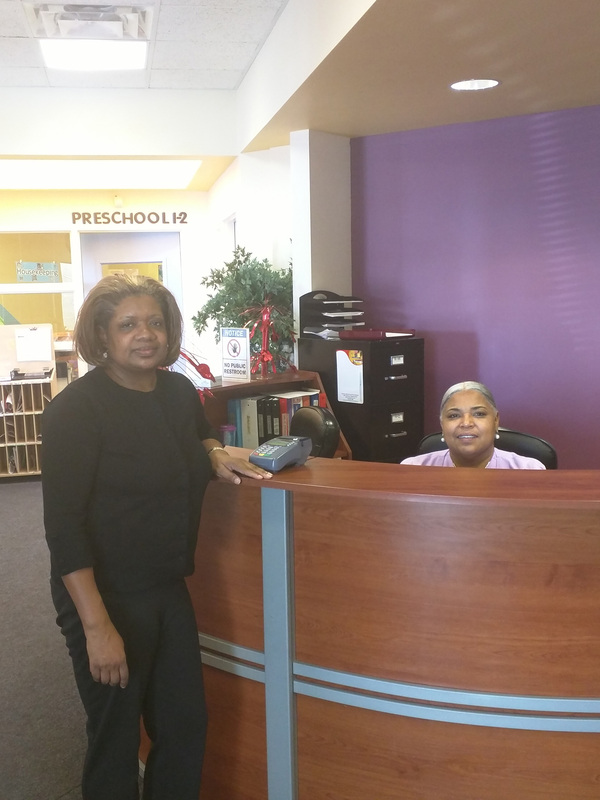 In Richmond, Virginia, for example, NDC worked with the City’s Economic and Community Development Department to move the Black History Museum and Culture Center to a long-neglected historic armory building. The museum moved into its new space in the spring of 2016. NDC continues to create new approaches to economic development. In December 2016, The Urban League of Greater Cleveland announced a unique partnership with NDC, the National Urban League, Morgan Stanley and Cuyahoga County to create the Capital Access Fund of Greater Cleveland (CAF). With a goal of creating or maintaining a minimum of 300 jobs within three years, this model program will provide minority and women business owners with access to capital offering 50 loans totaling $8 million as well as pre- and post-loan counseling to ensure the success of those small business borrowers. For more about this program, which NDC plans to expand to other cities, click here. More immediately, Mr. Marsh will be working with the NDC office in Washington, D.C. and a coalition of economic and community development experts to educate the incoming Administration and members of Congress about the impact of tax policies and other programs to realize challenging redevelopment projects in underserved communities. Cities are dependent upon tax-exempt municipal bonds to develop and repair critical infrastructure, a stated priority of the incoming Administration. Additionally, New Market, Low Income Housing and Historic Preservation Tax Credits are all essential to leveraging private investment to close the financing gap that persists for many community-based projects across the country. As the national public policy debate unfolds, Mr. Marsh will utilize his experience and new position as President and CEO of NDC to highlight the need for programs that promote investment in our poorest communities.